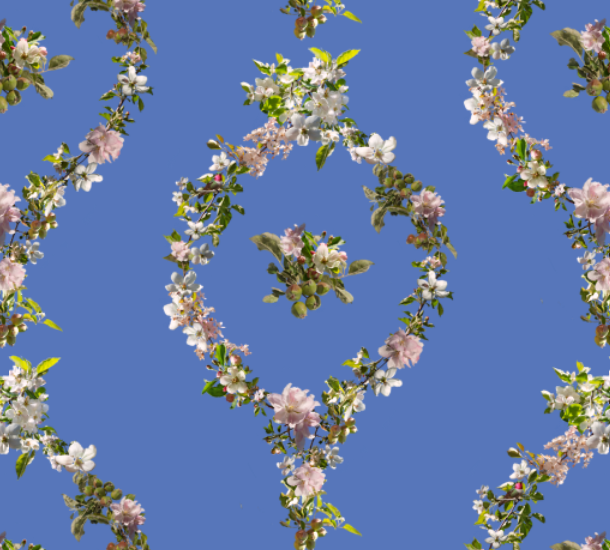 The Public Fruit Wallpapers are a series of wallpaper designs begun in 2010, each of which forms a portrait of a specific place at a certain time. 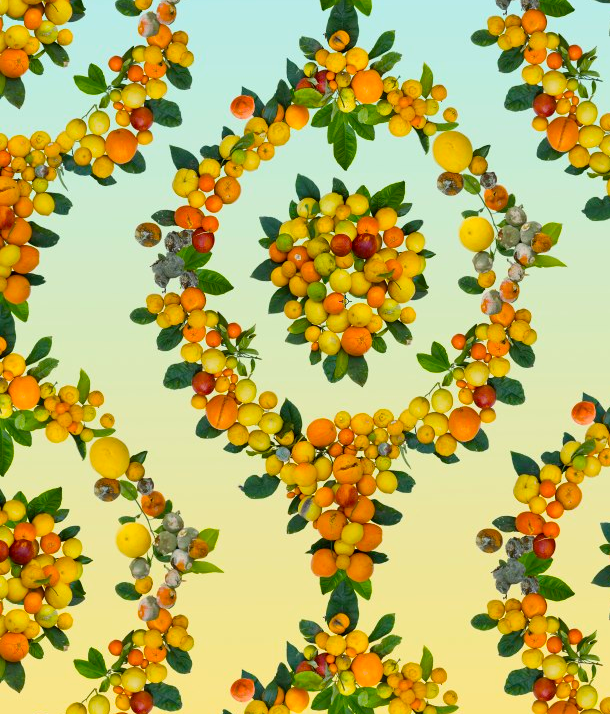 The first one consisted of all the public fruit found in Fallen Fruit’s home neighborhood, Silver Lake, on a single day in March, arranged in a traditional lattice-and-medallion pattern against a gradient sky. Because of the season, all of it is citrus, and it includes fallen fruit found in the gutter, some of it split, rotting, or with insects. 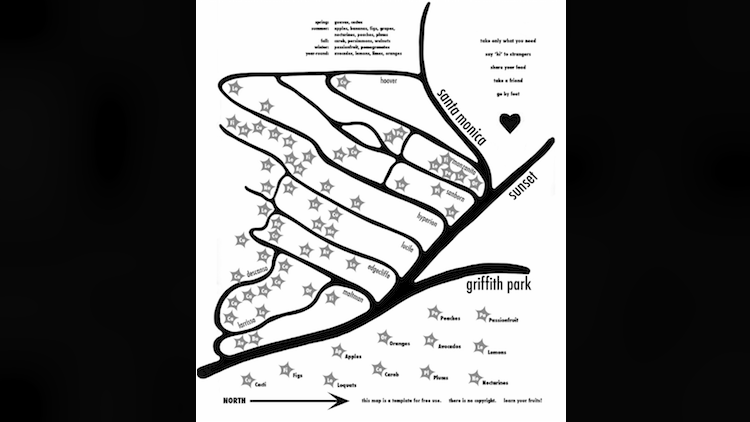 Salt Lake City’s wallpaper is of flowering apple trees with barely-formed green apples, and Honolulu’s is all the fruit found in the Chinatown markets on one day in June. 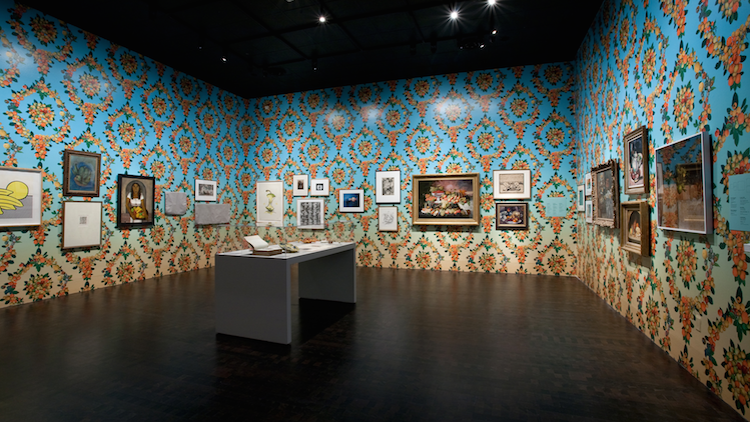 The wallpapers are installed on their own or as a backdrop to an installation of art, crafts or even household objects curated by Fallen Fruit. 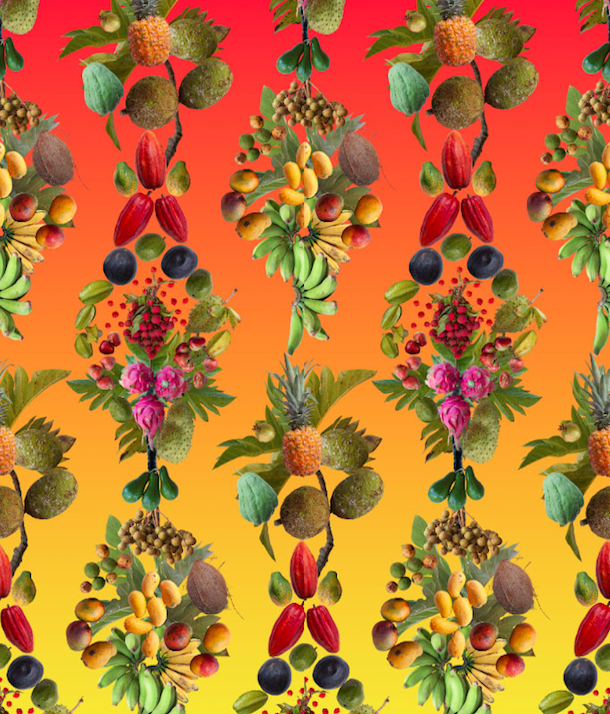 The serve both as a representation of fruit and the abstraction of fruit into decorative patterns, illustrating a pattern in culture by which ordinary objects gain aesthetic power.